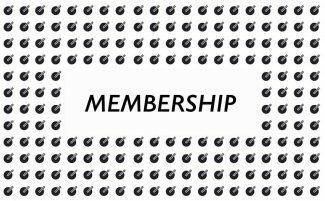 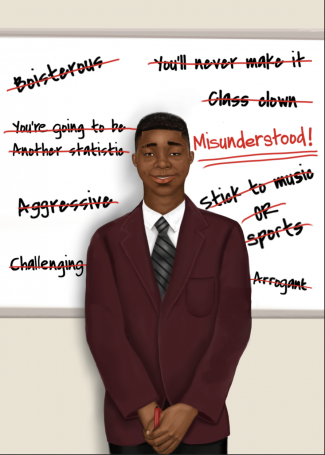 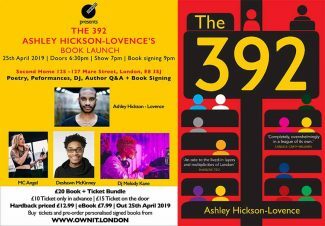 Book Launch for Ashley Hickson-Lovence's debut novel: The 392 - OWN IT! 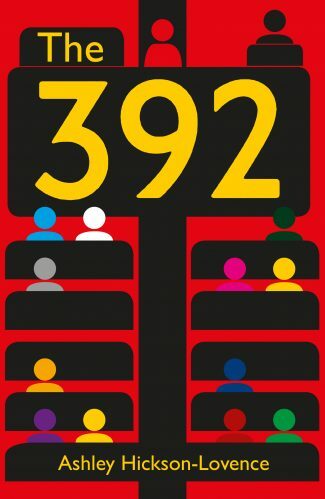 Book Launch for Ashley Hickson-Lovence's debut novel: The 392 - OWN IT! 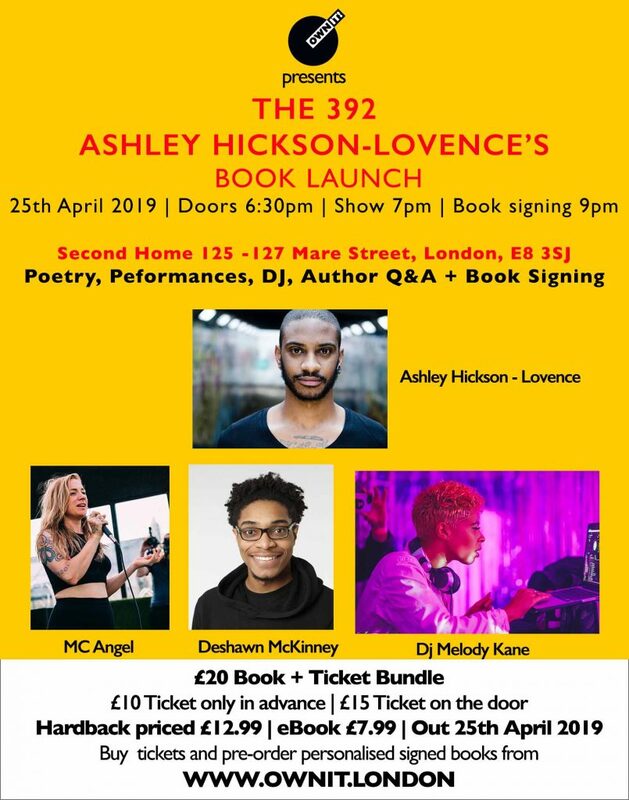 Join us to celebrate the launch of Ashley Hickson-Lovence’s debut novel The 392 with a brilliant line up of poetry and performances from Deshawn McKinney, MC Angel. 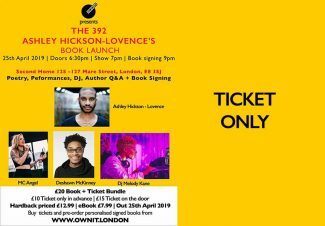 On the decks DJ Melody Kane + an author Q&A and book signing with Ashley Hickson-Lovence.